Now anyone who is familiar with Aveda’s hair care range will probably have seen the Shampure mentioned. It’s their classic all round shampoo and conditioner featuring their classic and should I say stunning Aveda Fragrance, which they describe as “a calming mix of 25 pure flower and plant essences”, even though it’s not part of the Aveda Men’s range, they do advertise it as being applicable for men. Personally I believe their description of the fragrance is quite poor, and it sounds as though it would smell like an old ladies’ boudoir. It’s actually very grasslike, herby and deep, more of a man’s fragrance, and not at all that ‘flowery’. The shampoo gives your hair a thorough clean without being drying. I probably wouldn’t recommend it for dry hair however, more normal-very slightly oily (if you have got dry hair try Dry Remedy). Every fortnight I apply a larger amount of shampoo into my hair, dry, and then wash it out after about 2 minutes, simply because water can block some of the oils from entering the hair, however doing this every day would be a little too powerful. Leave the conditioner in for about 5 minutes to get the best result, and then rinse (well I probably don’t have to explain that). It really leaves your hair soft, but not greasy and heavy like many stand-alone conditioners can. When you come to dry your hair, whether naturally or with a dryer, it become incredibly silky soft and shiny. I’ve used Shampure now for about 6 months and every time I use it, I still appreciate the fragrance and love the consistent condition it leaves my hair in. 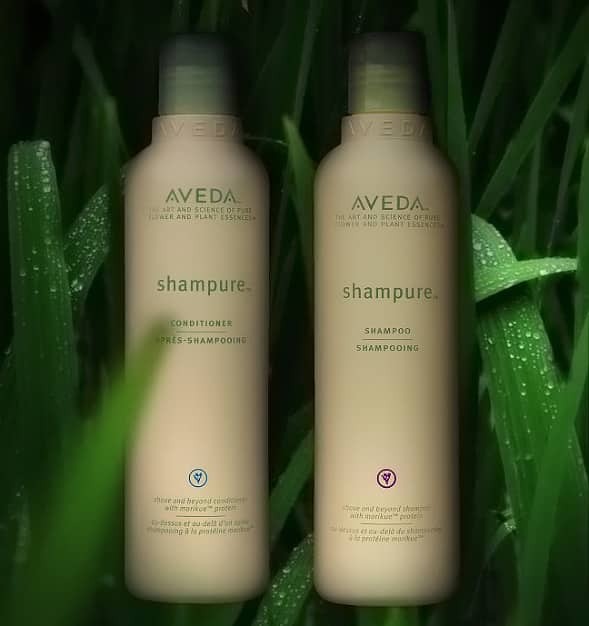 Shampure is available in many different sizes (I use the Salon sizes, much better value for money), from Aveda. This article first appeared on MANFACE written by Thom Watson. It was published on Wednesday 10th August 2011 and was last updated on Monday 3rd April 2017 at 4:36pm. It's categorised under Aveda, Conditioner, Hair, Oily Skin, Shampoo where you'll find more related content.